Giorgio Chiellini is a professional football player, currently the captain of Juventus Football Club, and a pillar of Nazionale Italiana di Calcio. Since the beginning of his career he has always used social media proactively, defining himself as a digital world enthusiast, with more than 7 million followers today on the main channels (Facebook, Twitter and Instagram). Giorgio Chiellini chose IQUII to identify a solution to build and manage his reputation, talking with fans, showing his image, producing real time contents and broaden his audience, exploiting the new digital touchpoints to create an essential value added, both for clubs and brands, for always more vertical commercial activities. monetizing the relationship with the fanbase thanks to dedicated features. The transition from theory to practice was possible thanks to PlayerXP, the IQUII own framework to transform the athlete into a proper brand. 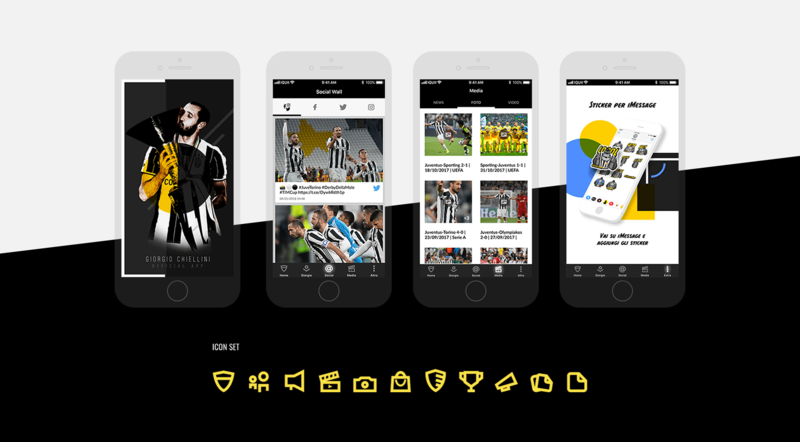 The Sport Platform was graphically customised according to the client’s preferences, maintaining the initial stack of the framework, integrating some ad hoc features to offer Giorgio Chiellini’s fans a tool for a more direct and deep relationship, which is faster and customised if compared to social channels. 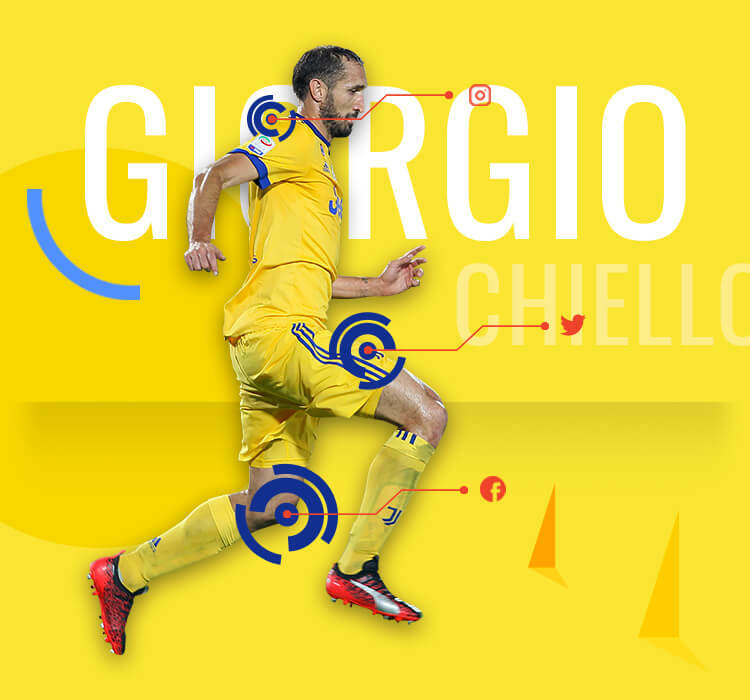 Through the launch of the new Official App, Giorgio Chiellini is becoming a proper Player 4.0, so an athlete who wants to have a direct, constant and engaging communication with his fanbase, cutting distances through always more customised services allowing fans to interact actively and as protagonists. For a detail fanbase profiling, helpful to implement future fidelization and monetization strategies. Enabling a seamless off-the-pitch growth. 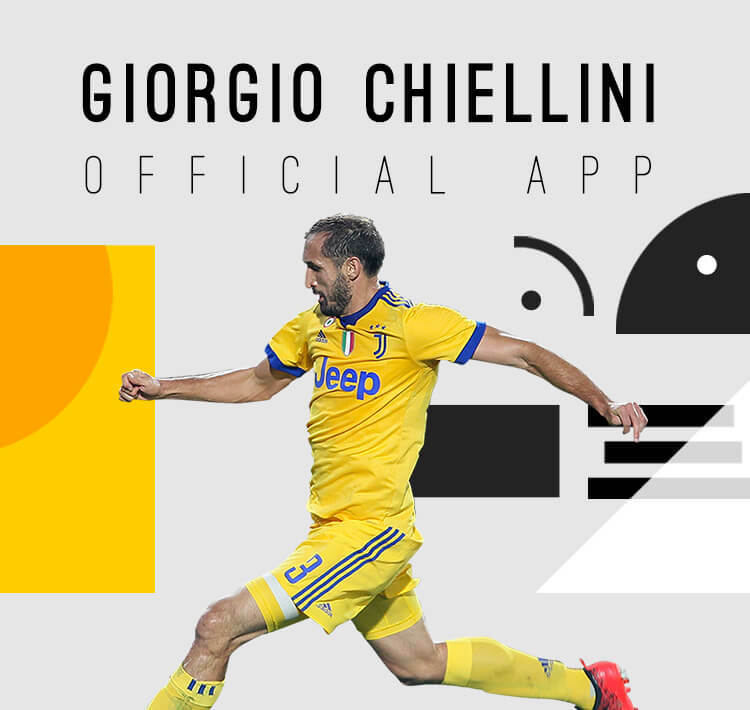 Discover the Giorgio Chiellini Official App! Join the Chiello’s community! The app is available on all the iOS and Android devices!